In August 1938, the German General Staff informed the British that they were ready to oust Hitler. All the British had to do was resist Hitler’s demands. Instead, at Munich, they handed Czechoslovakia to him, further proof that Hitler was an Illuminati agent. Admiral Wilhelm Canaris. Is this hand gesture the explanation of German generals’ docility? All they needed was confirmation from England that it would assist Czechoslovakia. The British dithered. Instead of taking a stand, they sabotaged Germany’s resistance to the Nazi plague. 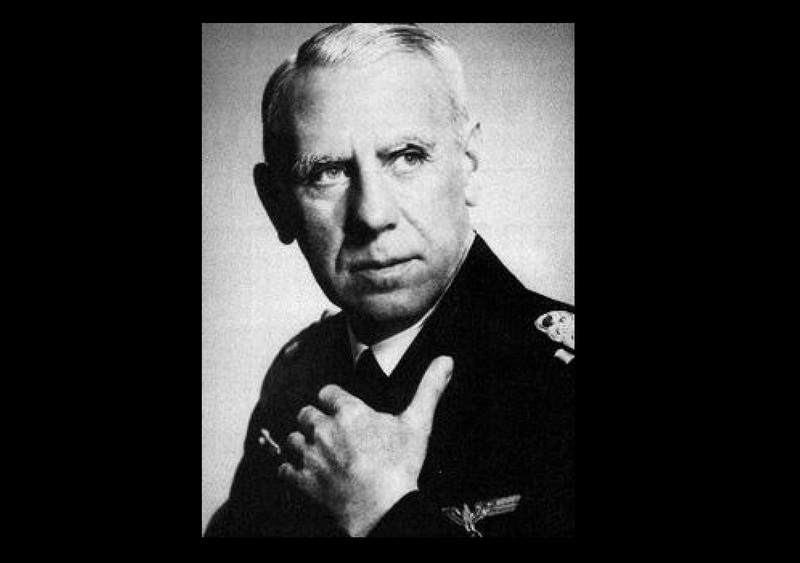 Admiral Wilhelm Canaris, Chief of the Abwehr (Military Intelligence) was part of the conspiracy to overthrow Hitler which is described in Richard Bassett’s Hitler’s Spy Chief: The Wilhelm Canaris Betrayal (2012). pp.150-160. “Several generals commanding troops were prepared to enter the conspiracy. By 14 Sept. General Von Witzleben, commander of the Berlin area, had made arrangements with Gen. Franz Halder (New Chief of Staff) and others to arrest Hitler as he returned from Berchtesgaden to the capital. “Count Helldorf, the Berlin Police Chief, would arrest the other party leaders while General Hoeppner, in command of the Third Panzer Division, would march on Berlin at the signal from Witzleben. When Canaris heard the news at dinner, he lost his appetite. “What! He…visit that man?” Canaris exclaimed. Many prominent Germans were horrified. The coup was postponed indefinitely. How could they overthrow Hitler when he was effortlessly getting his way? Canaris is often described as a “wily old fox” but apparently, he didn’t have the big picture. The Illuminati Jewish banking power based in London wanted a world conflagration. Hitler was their arm’s-length agent. 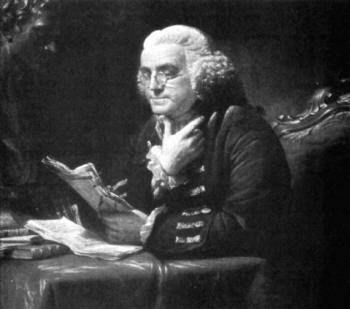 Regardless of what the British did, why didn’t Canaris and the generals act independently? Why didn’t they simply overthrow Hitler? That would have defused world tensions and saved 60 million lives. Canaris and the generals may have been tied to the Illuminati themselves. He censored intelligence reports both of Allied weaknesses, and strengths like compromised communications and agents (ULTRA and Double Cross System.) He schooled Spain’s Franco and Romania’s Sturdza on how to remain neutral. Hitler was undoubtedly aware that Canaris was a traitor but Hitler was a traitor himself. When SD Chief Reinhard Heydrich was about to arrest Canaris, the British had him assassinated. Heydrich was the only high-level Nazi official ever assassinated. Czech agents injured him, and according to Heydrich’s wife, Hitler’s doctors finished him off. Freemasonry may control the world’s intelligence services. But these services, and Freemasonry in general, function on a need-to-know basis. Their members don’t know Hitler served the British cause. Thus, Wilhelm Canaris, who was hung by the Gestapo in 1945, and other well-meaning Germans were sacrificed. Mankind is in the baneful grasp of the Illuminati central bankers. The Second World War is usually depicted as a struggle to save “civilization” from Nazi barbarism. It’s documented that Canaris sent MI6 his notes from a general staff briefing with Hitler before the invasion of Poland in 1939. He was a mole already as early as 1938. He even secretly met with his British intelligence contact during official trips to neutral Spain. Once, a visit to a convent was the cover. Inside he was debriefed by the chief of MI6 in Spain. Perhaps his confidence came from connection with an even more entrenched and formidable pre-existing intelligence network. High Masonry, that of nobility and the elite – not the visible lodges of the proles that Hitler broke up in 1934. I noticed the hand sign Canaris posed in his portrait photograph. It sure resembles the Masonic sign of ‘sacrifice’. Instead, he spent it to set up his new Yeshiva and Lubivicher headquarters in Brooklyn. He didn’t lift a finger to save the Yeshiva students he abandoned in Warsaw. Neither did Admiral Canaris. I don’t want to digress, I’m just adding for detail that when the Rebbe’s elder cousin Levi Yitzchak Schneersohn’s papers were captured by the Stalinist NKVD in Ukraine in 1939, extensive correspondence with none other than Leon Trotsky was found. “The rabbi led an underground community of “exiles, deportees, convicts, and refugees” and died in Almaty in 1944.”  I mention only to point up that Trotsky by his own admission in his autobiography “MY LIFE” was a high ranking Mason along with Lenin. In conclusion, I think “the case is open”. The full story of Canaris’ willingness to sacrifice himself remains an open question. Source: Doward, Jamie (1 January 2006). “Hitler must die without trial – Churchill“. The Guardian Online (London: The Observer). ISSN 0261-3077. OCLC 60623878. Retrieved 21 June 2012. 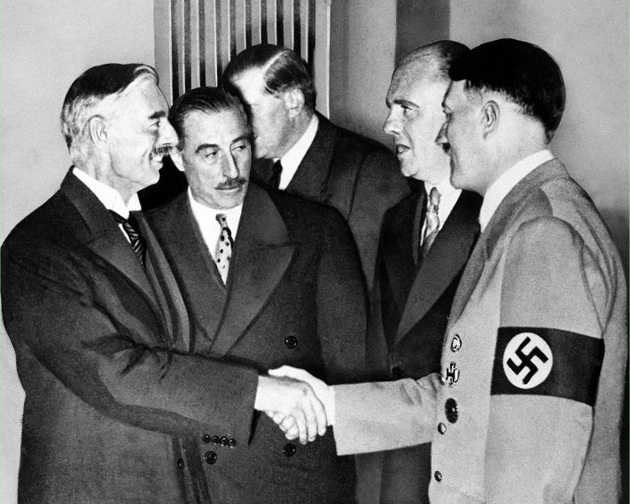 The Brits and the Yanks secretly sponsored both Hitler and Stalin. What a shame! This is a classic and excellent example of a propaganda photograph. It is a multi paste-up. It almost works. The artist is having a joke ? Probably at the expense of his supervisors. Too many pathetic ‘give-aways’. But the best is that shoulder in the centre. Tarzan would be proud. This entry was posted on January 20, 2019 by HKW in Uncategorized and tagged British government, CANARIS, Chamberlain greenlights Nazi aggression, England, Henry Makow PhD, History, Hitler, Illuminati Bankers, The Lubavitchers, WW2.